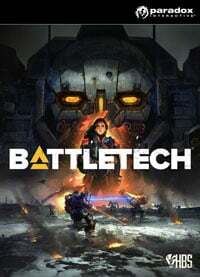 BattleTech, developed by Harebrained Schemes studio, known for Shadowrun, is a tactical battle game, which is a refreshed edition of a game released for PC in the 80s, as one of the first games by Westwood (Command & Conquer). BattleTech for PC is a tactical RPG taking place in a unique BattleTech universe – a world of bloody conflicts and merciless mercenaries. The game itself is a remake of a cult-classic series that appeared on PCs in 1988 thanks to Westwood studios. The title in question was developed by Harebrained Scheme, responsible for, among others, Shadowrun series, and released by Paradox Interactive. Welcome to 3025. The galaxy suffers from a ever-present conflict between aristocratic houses that is fought using powerful war machines known as BattleMechs. The player assumes the role of a leader of a mercenary unit that takes part in a brutal, intergalactic war and helps a dethroned queen regain what is rightfully hers. BattleTech can be divided into two separate parts. First involves fighting turn-base battles during which we control our pilots and use their armament, special abilities and landform to defeat our opponent. The battles are fought from an isometric perspective, but the camera changes its point of view during movement and attack phases (similarly as in XCOM series). The second mode involves managing your own group of mercenaries. We recruit new units, develop and customize mechs (we can use the equipment found on the battlefield), as well as expand the vessel which serves as our base of operations. BattleTech enables us to take part in a singleplayer campaign or a skirmish, as well as fight multiplayer battles against human opponents. BattleTech for PC offers 3D graphics with detailed models and textures, as well as advanced lighting and shading systems. The style of the graphics is definitely more in the vein of realistic science-fiction rather than over-the-top, spectacular animes. Game score 8.675 / 10 calculated out of 122 players' votes. Expectations before the premiere: 7.9 / 10 calculated out of 37 players' votes.